This brief article in the Populist paper The Farmer's Wife explains why Kansas women supported suffrage. 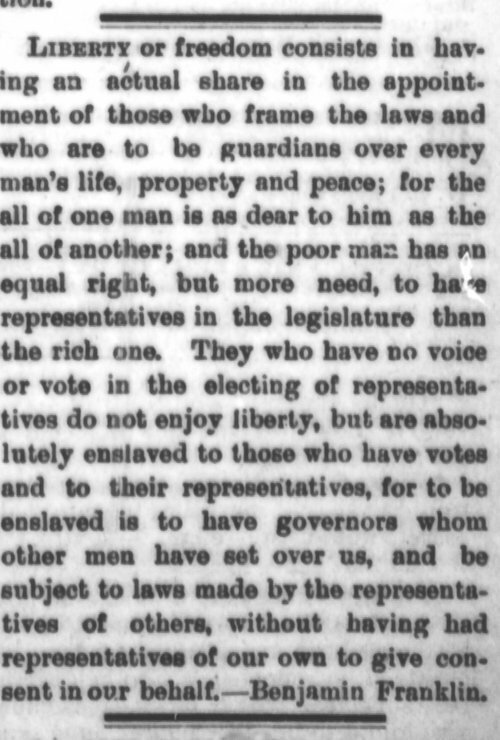 According to the article, which quotes Benjamin Franklin, "they who have no voice or vote in the electing of representatives do not enjoy liberty." This source illustrates for students, in clear language, why Kansas women believed they had the right to vote. It would work particularly well as an introductory source to explain why gaining the vote was so important to women.